Jeep Bumpers are essential to keeping your Jeep protected or just to keep your Jeep looking good. 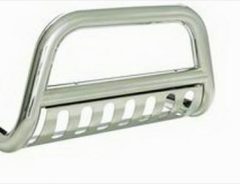 4LowParts.com is an Authorized Dealer for Savvy Offroad that make high strength yet light weight Aluminum Bumpers. Steel Jeep Bumpers are also available.Whether you need to replace your stock bumper or needing a winch bumper, we have the part you need for your Jeep JK, TJ, LJ, or YJ. truck or offraod vehicle.